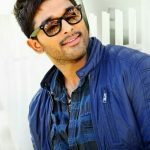 Allu Arjun was born on 8 April 1983 in Chennai, Tamil Nadu. He is the son of of film producer Allu Aravind. 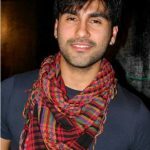 In 2003, he made his acting debut in the Telugu film Gangotri. The following year, he played the title role in anoter Telugu feature Arya. For his performance, he was nominated for Filmfare Award for Best Actor. His performance in the film Desamuduru was also well-received. In 2008, he received his first Filmfare Award for Best Actor for his role in Parugu. He then reprised his role in Arya 2. In the 2010s, he made notable performances in the Telugu films Vedam, Race Gurram, S/O Satyamurthy, and Rudhramadevi, among others. His latest movie was 2016’s Sarrainodu.